Thanksgiving is fast approaching. Are your ready? Every year is different for our family but the desserts are a must. Desserts are kind of a way for wrapping up the dinner and of course they are the most awaited dish of the whole day. Are you making something special for your family this Thanksgiving or are you in search of something perfect? 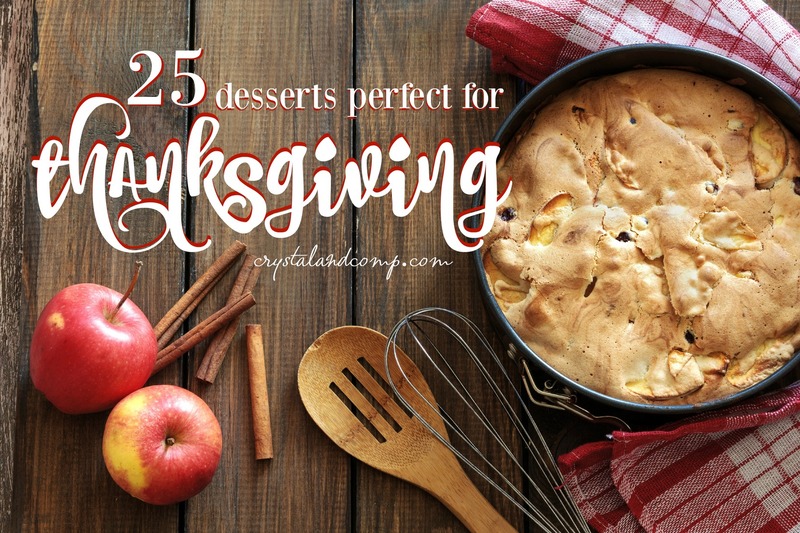 Either way check out these 25 Thanksgiving desserts that your whole family will love. 9. This Glazed Pumpkin Bread is super easy to make and a crowd pleaser for sure! Crystal & Co.
11. These Pumpkin Spice Chocolate Chip Cookies will melt in your mouth for sure! Crystal & Co.
14. Donuts can be for breakfast or dessert, right? These Pumpkin Spice Donuts are easy to create at home! Crystal & Co.
16. These Pumpkin Spice and Chocolate Cake Balls are super easy to make and taste amazing! Crystal & Co.
24. This Magical Layered Pumpkin Cake is a dessert like nothing you’ve ever had before. The way all the layers come together really is magical! 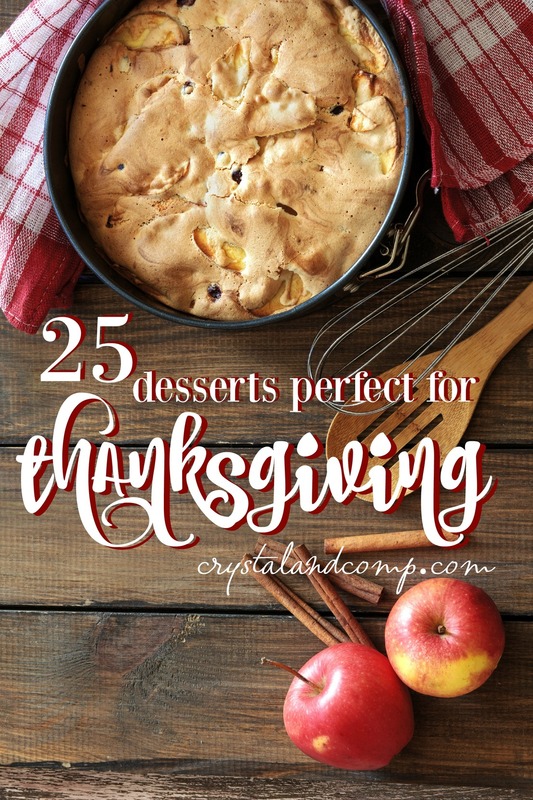 Crystal & Co.
Do you have a traditional dessert your family shares during Thanksgiving? Share your favorites! Do you love pumpkin, apple and chocolate desserts? 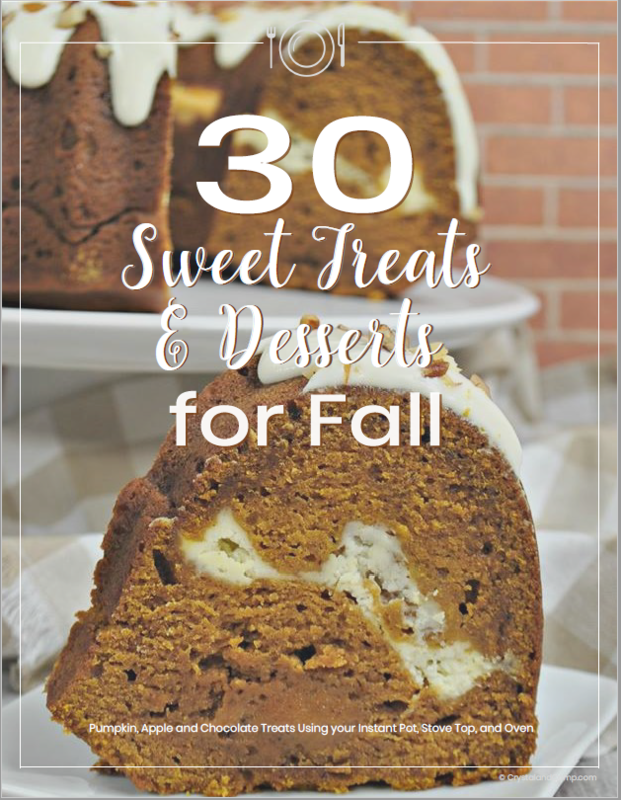 Let me just say, one of my favorite things about Fall is the desserts. There are too many great recipes here to choose a favorite, but those mini s’mores brownies are mouthwatering! Great round-up! I will check out some of these, for sure-pinned! Great round-up! Thanks for sharing at #OMHGWW! MMMmmmm – Crock pot blueberry cobbler!! Thanks for sharing on the What’s for Dinner Link up! OH man, I could eat my way through this entire list! OOO I want to eat all of these. Thanks for sharing with us at Family Joy Blog Link Up Party this week.